When it comes to applying for a mortgage having a good credit rating is one of the key factors in being approved. Putting other variables aside (i.e. income), having a good credit rating will enable you to access the best mortgage rates. With a poor rating your bank will want to charge you a higher interest rate and as a result your cost to borrow and monthly payments go up! 1. Payment History – 35%: This category is given the most weight as the lender is looking at your past history and patterns of payment, with more weight being given to more recent history. If you’ve consistently been late with payments or missed a payment this will affect your score negatively. Likewise, consistently making your payments on time will build your score. If this has been a problem for you then start working on making payments when due and your credit rating will improve over time. 2. Credit Balance – 30% - Here lenders are looking to see how much of your available credit you are actually using. It’s better to have a few credit cards with low balances than one or two cards where you’re at or close to the limit. It’s suggested you try and use use only 35% of a card's available credit. Remember the bank is looking to see that you can use credit responsibly and not spend it all just because it’s available….priority one for them is ensuring that you’ll be able to make your mortgage payments over the long term! 3. Credit History – 15%: Generally the longer you’ve had access to credit and your accounts have been maintained in good standing, the better your credit score. 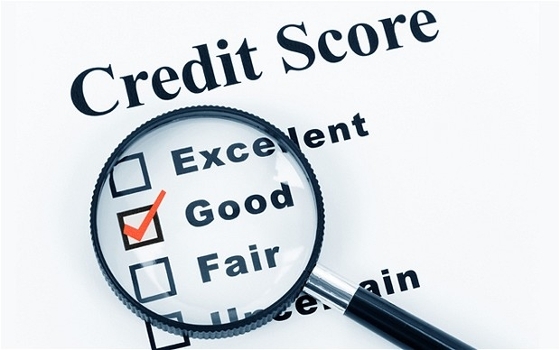 4. Credit Inquiries – 10%: Credit inquiries have a minimal to no impact on your actual score, however having a number of credit inquiries in a short period of time can indicate that you’re shopping around for credit which may result in you being deemed a higher risk, especially if you have a limited credit history. If you’re shopping around for a mortgage with different lenders try to do this within a two week period as these inquiries will usually be combined and treated as a single one. 5. Types of Credit – 10%: Lenders will look at your mix of loans, credit accounts vs retail accounts, etc. If you have a number of the buy-now-pay later type “cards” i.e. the future shop or the brick, this can indicate to the bank a future risk if this is your preferred method of paying for things. If you're thinking of getting a mortgage or doing any type of financial planning, it's a good idea to review your credit report to make sure it's accurate as well as where you currently stand in terms of your credit score. If you keep the five items above in mind and use your credit accordingly, you'll be able to improve your rating or ensure you keep a good one.